Desc: 14 karat yellow gold Mosaic Opal Jumping horse pendant. 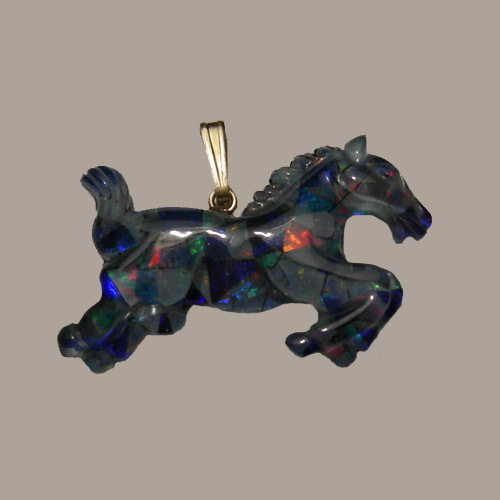 The Opal is carved to resemble a horse jumping. The bale is 14 karat yellow gold. The Opal is the birthstone for October. We can provide the Opal enthusiast with any shape and or carat weight (Contact us for details).